The East is Red is a film recording of a musical theatre piece, which was presented in the Great Hall of the People. 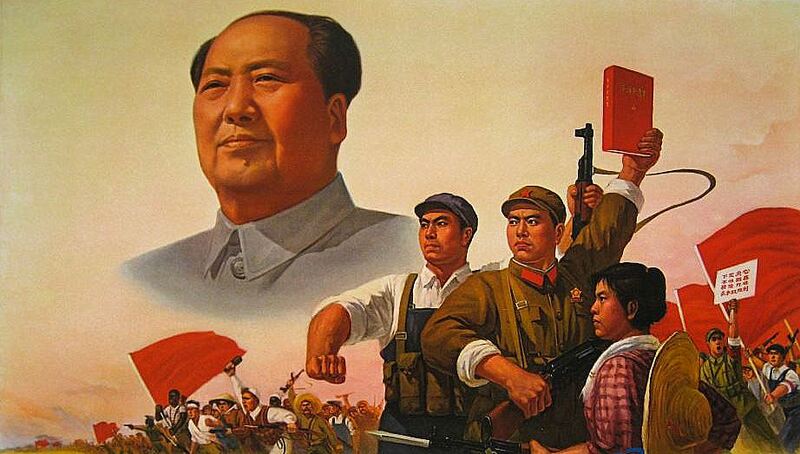 And it wasn't long after Chairman Mao watched the play, that the Great Proletarian Cultural Revolution was launched. 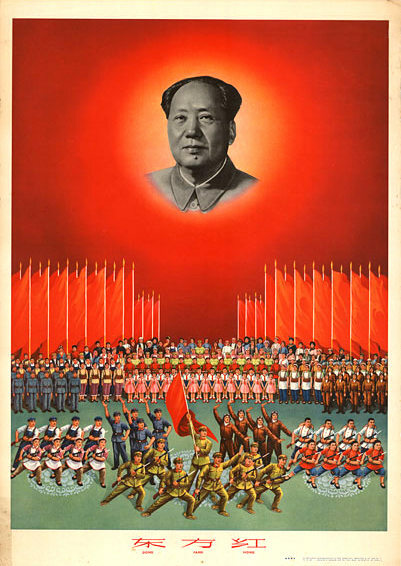 Supervised and edited throughout its production by the Chairman and Zhou Enlai, the play came at a time when Mao was consolidating his power after a series of failed economic policies and continual famine throughout Mainland China. 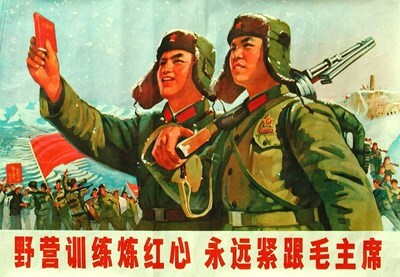 The play purports to tell the background and history of the Chinese Communist Party, from its formation in 1921 due to the oppression of Chinese laborers by capitalist overlords; the War of Resistance against Japan; and finally, the formation of the "New China", which, as the revolutionary folk songs in the play insist, could not have come about without the Communist Party's victory. Utilizing vast numbers of actors and performers, stirring revolutionary songs and complex, synchronized dancing tell the rather one-sided interpretation of a history you won't find anywhere in Wikipedia. 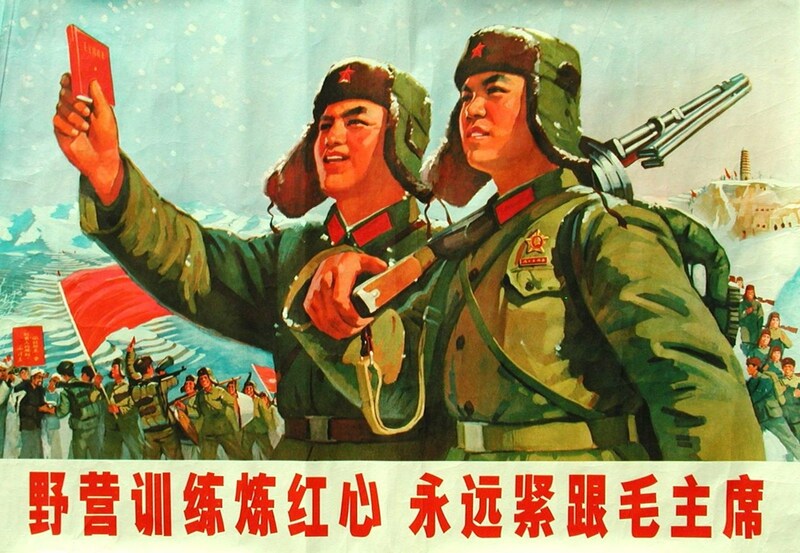 Between the scenes showing the whippings of laborers by blonde-haired Westerners and their Chinese collaborators and dancing girls marching with AK-47s, a narrator explains the difficulties which faced the Chinese people in their struggle to overcome oppression. Of particular interest to anyone with even a small understanding of modern-day Chinese history is the procession of national minorities at the film's end, singing their thanks for liberation and slavishly praising Mao. Three years prior to the film's production, China invaded and seized Tibet and these people are given an especially prominent place in the parade of nationalities. 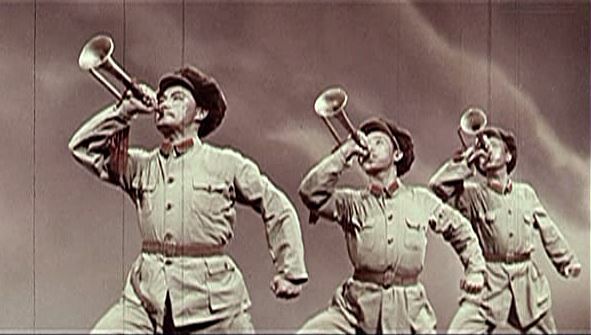 The film concludes with the performers and audience singing The Internationale. This and the stirring song The East is Red, performed at the beginning of the film, are perhaps the most impressive musical pieces in a two hour film of impressive musical and dance pieces. The cleaned-up subtitle track -- for the first time written in a way idiomatic to English speakers -- while helpful, is totally unnecessary for the enjoyment of the film. Anyone with an appreciation for Eastern music, opera, the ballet, etc. will enjoy the film, regardless of whether they can understand Chinese or wish to read the subtitles. Fortunately, the artistic excellence of the piece far outweighs its rather heavy-handed propaganda and outright historical inaccuracies. DVD-R is in Chinese with switchable English subtitles. Approx. 122 mins. See film sample for audio and video quality!